Although it may not feel like it Summer is coming soon. 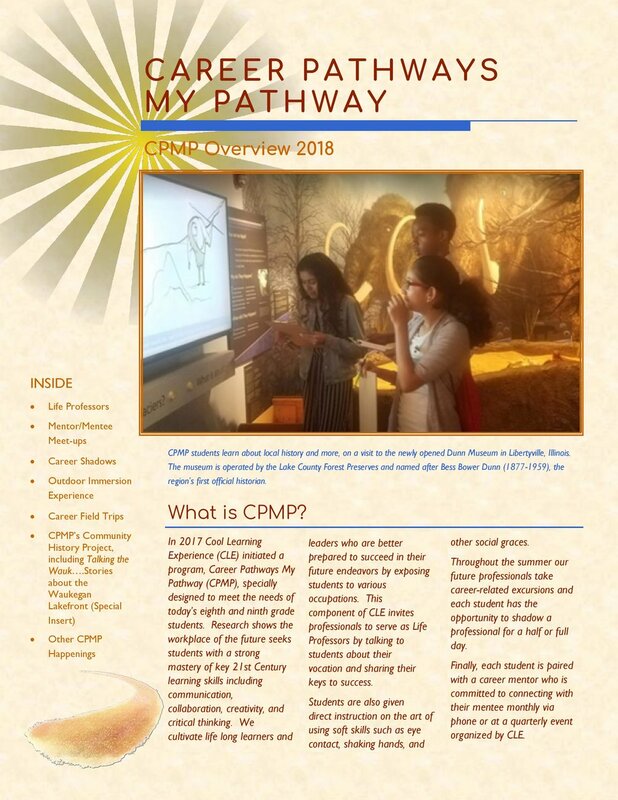 Registration for CSE 2019 is now open. More information here. 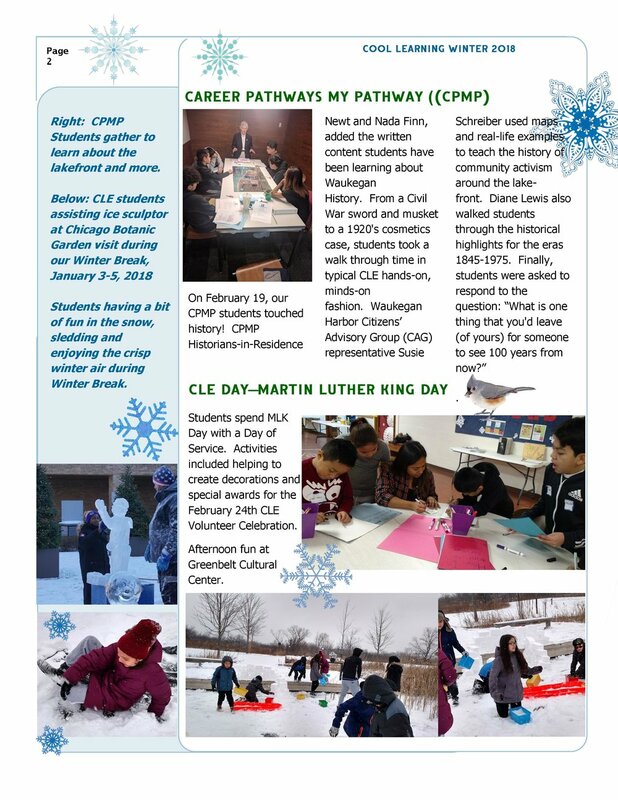 Cool Learning Experience (CLE) has embarked on a long - term community oral history project called Talking the Wauk. Read more here. 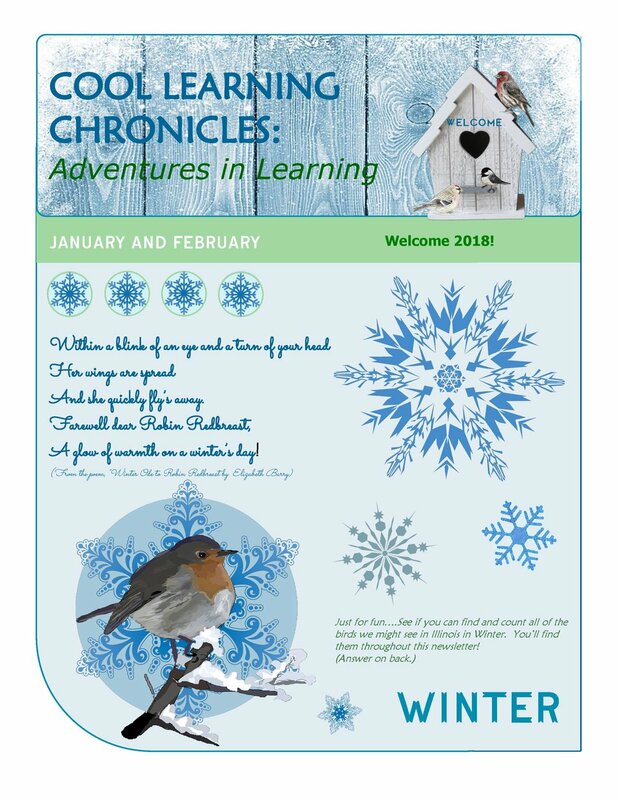 Check out the third installment of the CLE Chronicles: Adventures in Learning - Autumn Newsletter. Summer may be coming to an end, but learning sure isn't. 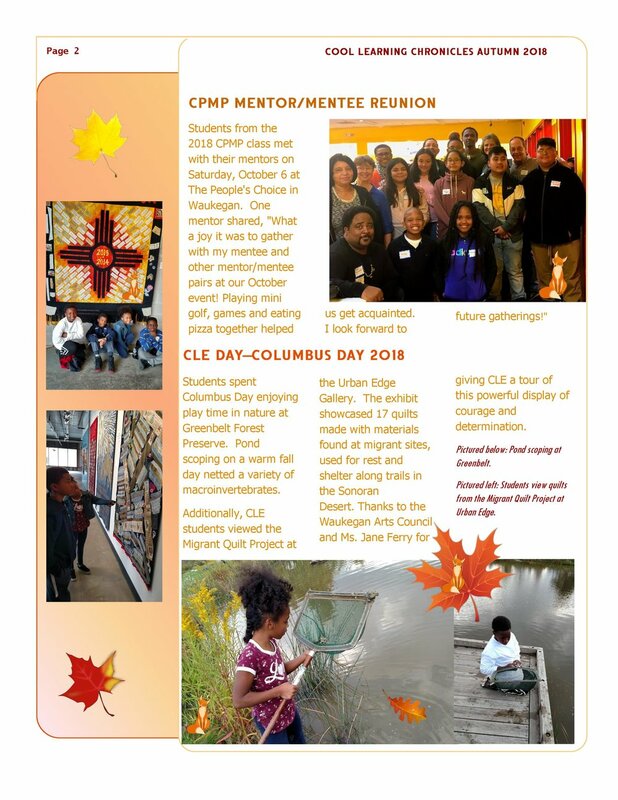 Join us for CLE Days this school year. Please note that capacity is limited. To register and reserve your spot please contact us at coollearningexperience@gmail.com or 224-877-1067. 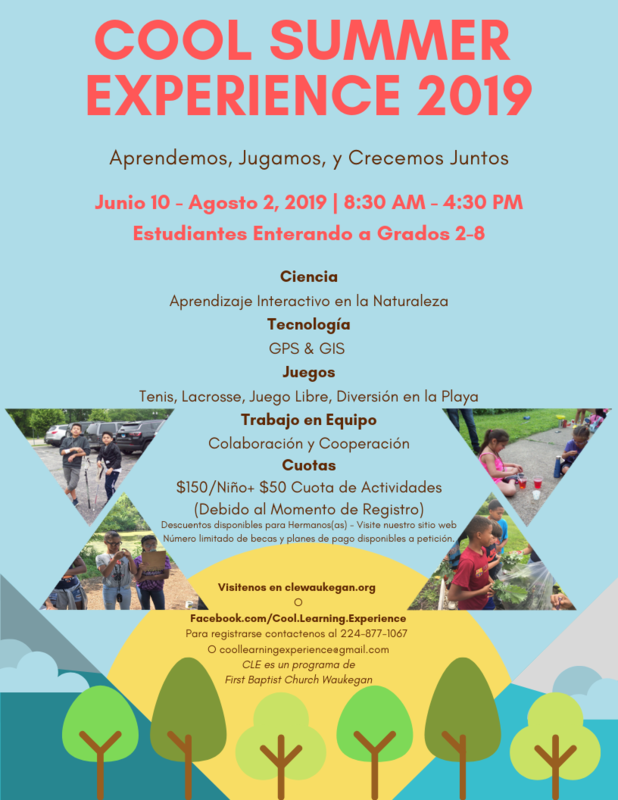 Take a look at our Cool Summer Experience! 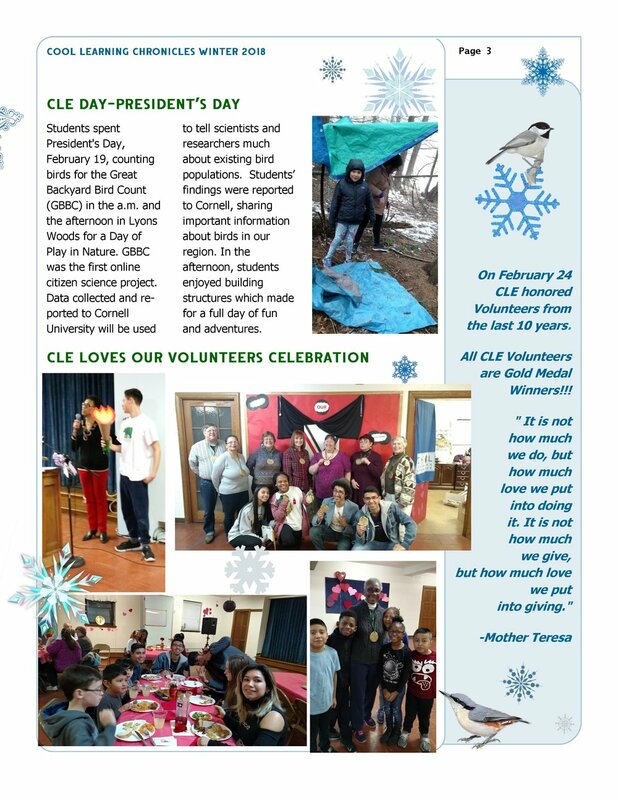 Click here to read the full newsletter. Join us for our annual Summer Celebration Program this Sunday. Our students are excited to show everything they've learned. Join us to celebrate National Get Outdoors Day! 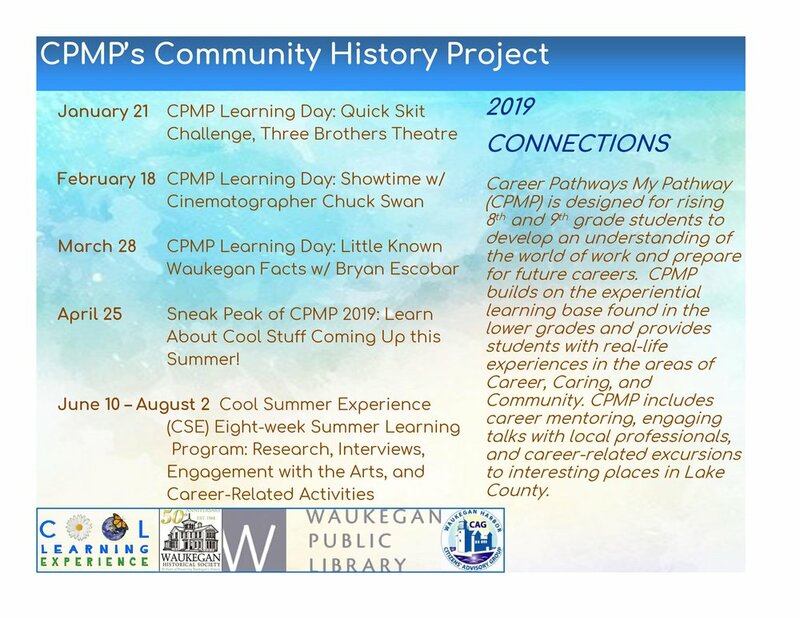 We are partnering with the Wildlife Discovery Center to bring wild life, the Waukegan Park District for Arts in the Park, the Waukegan Public Library, and Lake County Nature Network. 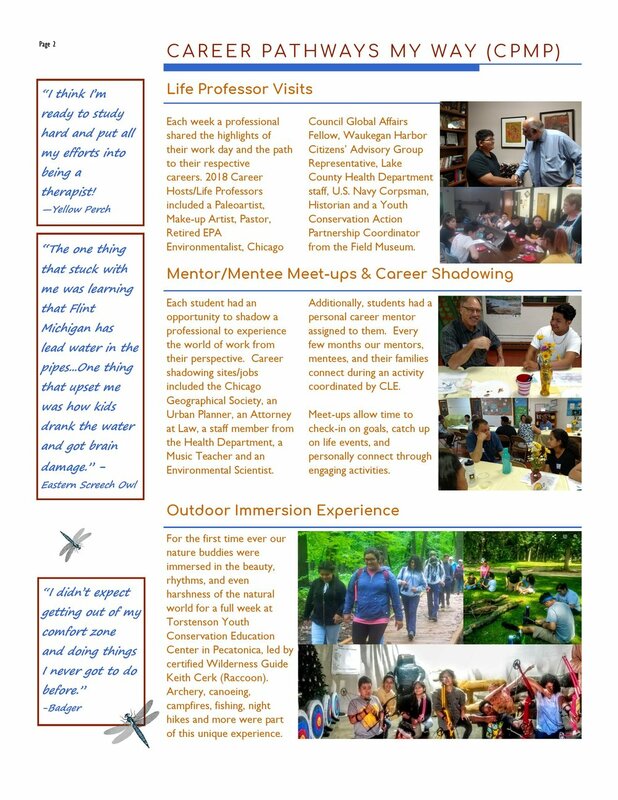 Other activities include Rally Tennis, Drumming in Nature, Walk the Trails, Fishing, and Casting. We will have a limited number of fishing rods available. If you have one, please bring it with you. Fast Eddies will be selling Chicago style hot dogs and other snacks.